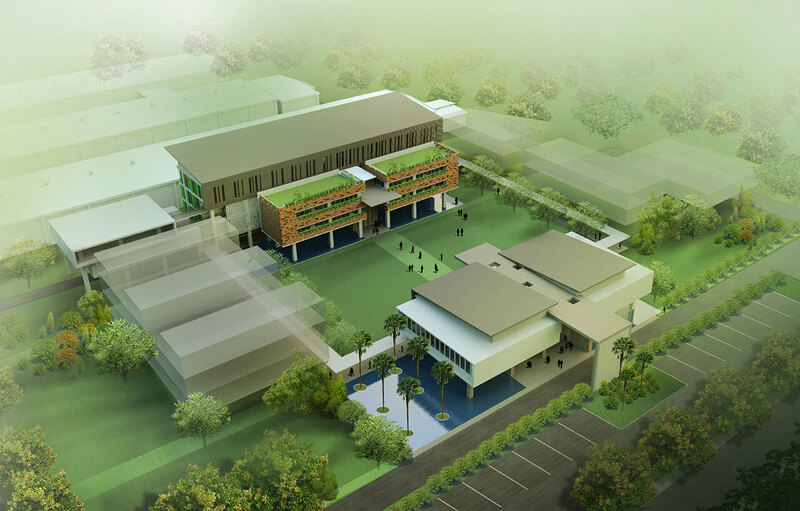 ATMI Cikarang in collaboration with Holcim Foundation for Sustainable Construction.On March 2011 KIND was invited to join closed competition with other 8 selected architects by Holcim Indonesia to design a masterplan and new buildings for ATMI Cikarang. On this two-stage competition KIND was shortlisted as a finalist together with Urbane, Mamo Studio, and Andra Matin Studio. The judges were combination of local and international experts on architecture and sustainable design and construction. The master plan should provide opportunities and building infrastructure for people to interact. The academy is not just a place where student live, play, and learn; it is a woven fabric of people who interact, communicate, and create customs, objects, and relationship.It is a social capital present in academy environment that makes change possible.